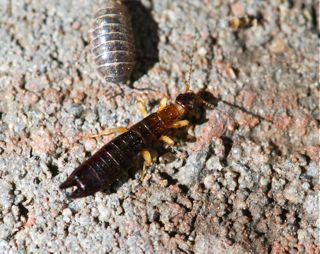 Our bug this week has an interesting name: earwig. The etymology of the name is almost as interesting as the entomology of the insect. I have read that the word comes from everything from a corruption of 'perwig' meaning "to scold" ( I guess because of their agressive-looking tail posture), to the old English 'earwicga' which means "ear beetle." The mythology surrounding the name is even more varied, but I won't go into it here. It's rather chilly this week, but there's always activity in the compost heap. That's where I found the earwigs. 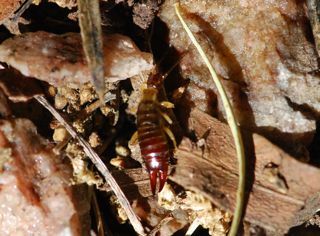 Earwigs have a pair of forceps-like pincers at the end of their abdomen. They tend to avoid the light and scurry away. The youngsters look just like tiny adults. Although the tail looks formidable, this species is harmless. There are some species that can give a pinch if they are picked up, however, so always use caution around insects you haven't had experience with before. 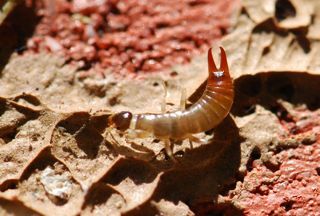 These earwigs are scavengers. 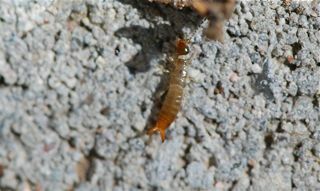 They are often active at night and hide in crevices or under things during the day. They also like dampness.